If you need help with the removing the dust, dangerous wastes and construction leftovers in your home or commercial property, we are at your disposal. 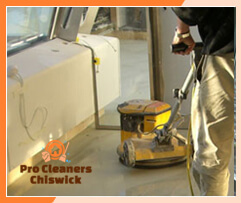 Pro Cleaners Chiswick offers very effective after builders cleaning which is excellent for making your rooms and outdoor places sanitised. Our cleaning staff works in line with the current requirements of the government when doing their work. All of our employees are qualified, skilled and experienced. Use our professional after builders cleaning services in W4 Chiswick to commercial and domestic properties. If you need help with the cleaning of your bathroom, kitchen, bedroom, porch, patio or other area in your estate, call us. We will come to check the place and do the necessary cleaning at the most convenient for the customer time. Our team of professional cleaners will wipe the dust from the shelves, cupboards and the rest of the pieces of furniture. They will scrub the doors, windows, frames and sills. The cleaning which we provide includes removing of stains, paint splatters, cement, silicone, plaster and other substances from different surfaces. Our staff can deep clean your carpets, sofas and armchairs if you require, removing the obstinate blemishes from them. 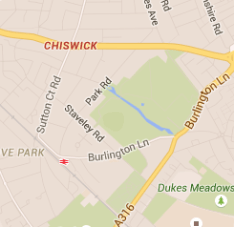 Use our top-quality after builders cleaning which we provide in W4 Chiswick every day in the week. If you want to have your rooms, porch and patio cleaned thoroughly, use our professional services. The after builders cleaning which we offer in Chiswick London is reliable and done by certified cleaners. 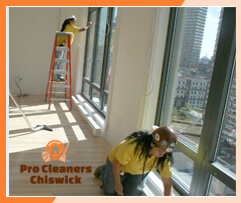 You can count on them for qualitative and fast cleaning work. Copyright © 2019 Pro Cleaners Chiswick. All Rights Reserved.